For the most beautiful and important day of life, some like to go the extra mile and give friends and family the opportunity to follow up on wedding preparations or inform about wedding details. For this purpose, WordPress is an ideal solution because you can create your website with only a few simple steps and you can choose from beautiful wedding WordPress themes which have especially been designed and developed to cater to the needs and requirements of wedding websites. Look out for some practical features when searching for wedding templates. Wedding WordPress themes are very useful when it comes to wedding preparations as you can involve your guests and inform them about location, meals or presents. Make sure your wedding theme thus offers features to present a guestbook, a wishlist and the possibility to display information about time, date, program and location of the wedding. Pictures and videos taken during the ceremony and the following celebration should certainly be displayed on your wedding website as well so that this content is available to all participants, family, friends and relatives online – according features like image galleries are thus crucial. So whether you are a wedding planner or in case you plan to marry soon yourself, you might want to consider all the benefits from setting up wedding websites for you or your clients. Preserve good and lovely memories from the biggest day in life. 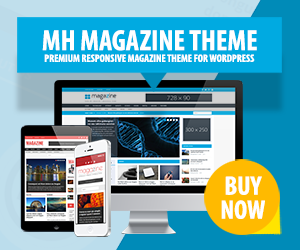 To find the best suitable WordPress themes for your wedding websites, please have a look at our collection of beautiful and attractive wedding templates – choose whichever one suits you best.